British-Slovenian Flaviar, a subscription-based club for trying spirits and various types of liquors, has raised $400,000 from SpeedInvest, as reported by Netocratic. Although the company is Slovenian-founded (its CEO is Slovenian Grisa Soba) and London-based, the company has somewhat of a central European focus with websites geared towards Germany, Austria, and Switzerland in addition to their sites for the UK and the EU at large. SpeedInvest is a Vienna-based, 10 million euro “Super Angel” fund and already in 2012 Oliver Holle was spotted at the Pioneers startup festival in Austria distributing Flaviar flyers. The funding will be used to assist the company in establishing itself in the E.U., but previous stories about them have also suggested that they will turn their attention across the Atlantic to the American market, as well. For now, though, the company only ships to addresses within the European Union. 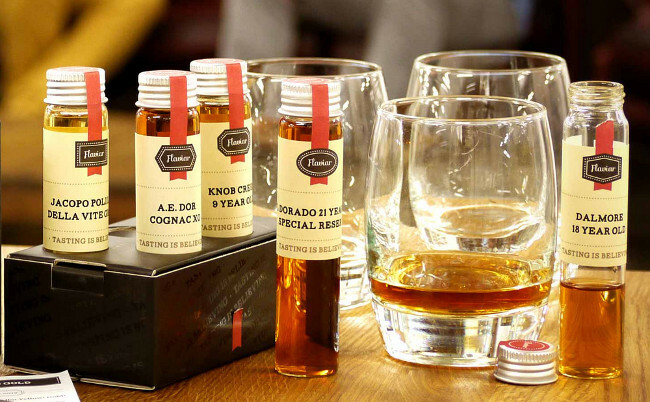 At the moment, Flaviar offers subscribers the chance to receive a monthly tasting pack of 5 50ml bottles of the liquor for that particular month. Monthly tasting packs are centered around a particular theme, such as various types of rum for this month (a pirate theme), Japanese whisky last month, peated whisky in May, and so forth. The company offers customers the ability to subcribe on a monthly (29 euro), annual (29 euro/month), and 2-month-test (64 euro) basis. Customers can also purchase subscriptions as gifts. Although they currently only offer the spirits in sample-sized bottles, they are planning to introduce full-sized bottles at some point.